George Conway, lawyer, frequent critique of President Donald Trump, and husband of chief Trump apologist Kellyanne Conway (Thanksgiving must be so incredibly fun in that household) recently commented that Donald Trump was transforming the Republican Party ino a “personality cult.” This is a strong charge, as the Grammy-certified best Hard Rock Performance of 1990 can explain, a feature of politics more associated with totalitarian dictatorships than well-developed democracies like the United States. Yet Conway’s accusation is not just political rhetoric; respected academics have similarly argued that Donald Trump’s politics fit the cult of personality mold. But what exactly does this mean, and what does it mean for the Republican Party and for the country? If you’ve ever visited Beijing and seen Mao Zedong’s iconic portrait, or looked at old Soviet propaganda posters, or used to watch Steve Jobs and his black turtleneck unveil a new Apple product, you have a general idea how a personality cult works. An individual presents himself (it’s usually been guys, though not necessarily so, in cases like Argentina’s Eva Peron) as a quasi religious figure (as opposed to the more literal cults, where individuals may explicitly claim religious or supernatural power). This person assumes leadership position, as over a country, based on their own purported virtues, talents, skills and exploits, not because of a political party affiliation or platform of policy ideas. The leader and his lackeys (anyone who serves the leader must be a yes-man in order to survive, much less advance, in such a system) use various forms of propaganda (stories, posters, film, social media) to perpetuate the leader’s larger than life image. Followers are expected to be directly loyal and devoted to this person above any party or principle. The term cult of personality is often associated with Soviet Union leader Nikita Khrushchev (who despite being in charge during events like the Cuban Missile Crisis, is probably remembered nowadays as the guy who wasn’t Lenin or Stalin or Gorbachev) in a then-secret 1956 speech that criticized the rule of his predecessor, Joseph Stalin. Stalin, whose name has its own “-ism” defined by iron-fisted dictatorial rule, was actually born Ioseb Besarionis dze Jughashvili. He later adopted the more commanding surname Stalin, literally “Man of Steel” (maybe Zack Snyder’s movie was a biopic and not actually about Superman after all; all the death and carnage in the movie make sense now!). The name and distinctive mustache (no, really) became parts of his larger-than-life persona. Stalin centered all power in the Soviet Union around himself, and, being the worst dictator ever to come out of Georgia (Brian Kemp, please don’t take that as a challenge), killed or imprisoned millions of perceived enemies. In neighboring China, fellow communist dictator Mao Zedong made his image, his philosophy, even his quotes all but sacred throughout China. In Nazi Germany, another Soviet neighbor (well, at least after the two countries decided that Poland didn’t really need to exist), glorification of Hitler, such as the “Heil” greeting/pledge, was ubiquitous. The entire history of politics in North Korea has been based on the model established by Stalin, Mao, Hitler and others. The Kim dynasty (original leader Kim Il-Sung, son Kim Jong-Il, and now grandson Kim Jong-Un) built a communist dynasty of inherited rule, justified by relentless propaganda that presents the Kim’s as virtual demigods: Kim Jong-Un, for example, was reported to have learned to walk at three weeks old and said to have authored 1500 books. While it’s unclear how much of this is meant to be taken figuratively or literally, the constant public deification of the Kims, alongside vilification of the United States and highly restricted access to outside media, shape a worldview for North Koreans centered around the ruling family. Personality cults are no simply a relic of history, or a feature of obscure regimes like that in North Korea. Vladimir Putin, the Bart Simpson to Donald Trump’s Milhouse (just because he’s your best friend, Mr. President, doesn’t mean that you’re his bestie too) has done a thorough job of developing one for himself in Russia, complete with larger than life imagery, religious endorsements, and staged feats of strength and skill. 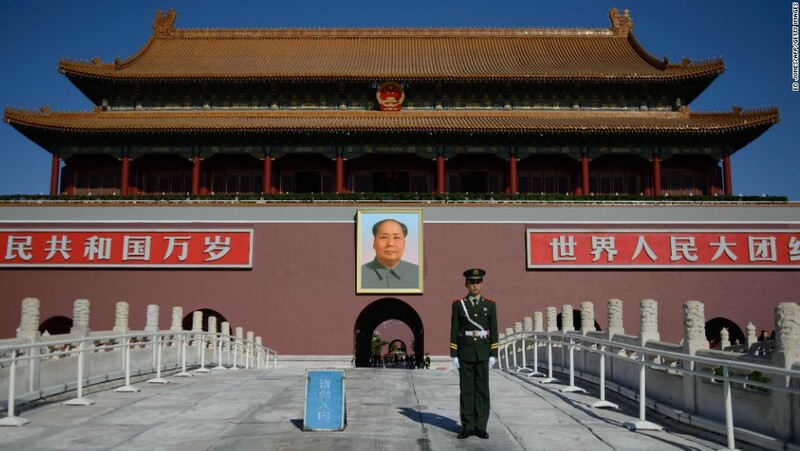 And Xi Jinping in China has taken some not-so-subtle steps, such as placing his personal philosophies in the Chinese constitution and getting his own distinctive portrait, to put himself in a position previously occupied by Mao. Donald Trump has been playing the personality cult game for decades, even before entering politics. He has obsessively branded everything from skyscrapers to steaks to “institutions” “of” “higher” “education” (sorry, there’s only so much sarcasm I can convey with the written word). Originally a strategy to profit through the Trump brand, candidate and then President Trump was able to use these same tactics to gain political influence (while continuing to profit financially as well). He consistently presents himself as supremely virtuous, pure (“I’m the least racist person”), intelligent and competent (“a very stable genius”). For a number of social and potentially psychological reasons, a core group of supporters have coalesced around unwavering support for Donald Trump and his proclamations, however false or destructive they might be. When candidate Trump claimed that he could shoot somebody “in the middle of Fifth Avenue” without losing any voters, he was demonstrating that his followers’ devotion had transcended policy, party or even morality. Cults of personality can be effective in the short run, both for the leader and for his party. A charismatic leader can serve as a useful symbol around which an otherwise divided or underdeveloped nation can rally. As is suspected to be the case in North Korea, the internal hierarchy of parties may support a charismatic figurehead in order to provide a symbol and cover behind which the real decisions are made. This strategy is, however, inherently dangerous. Giving such power to one person has often facilitated leaders’ ability to commit mass atrocities against those deemed to be enemies or outsiders to that nation; Hitler, Stalin and Mao all had the blood of tens of millions of people on their hands. Relatedly, the sometimes violent fervor of a leader’s followers can spiral outside of formal party control; Chairman Mao appealed directly to loyalist citizens and paramilitary organizations to side-step his own bureaucracy during the violent upheavals of the Cultural Revolution in China. Similarly (though, thankfully, on a massively smaller scale), when the Republican Party’s top leaders decided to fully embrace Trumpism, they probably did not count on Trump fans shouting “Hail Hitler, Hail Trump” at public performances or mailing pipe bombs to Democratic Party leaders. Beyond the danger of violence, political systems built on personality cults are also inimical to wise policymaking or course correction – as the “Hitler reacts to…” meme demonstrates, would you have been the person to tell a virtual demigod that something he was doing isn’t working. In the long run, a system based on unrealistic mythology of a fallible (and often very personally flawed) leader is inherently unstable: cults of personality often don’t survive the death or retirement of the leader, and may fall apart while the leader is in office as cracks in his persona grow until the image shatters altogether. In the Soviet Union after Stalin and in China after Mao, the ruling parties were wise enough to shift strategies after the deaths of these leaders in order for the party remain in power; the ruling parties of communist Romania and Yugoslavia were not as adept or prescient, and saw their regimes (and, in the later case, their country) fall apart; North Korea has maintained its cultish regime through three generations, but at the cost of extreme isolation and poverty. While the Republican Party’s acceptance of a Trump cult of personality may be paying off now – tax cuts, Supreme Court justices – the violence of recent weeks and the electoral thumping the Republican Party took two weeks ago show the risks that Republicans are taking with their own fates and that of the country as a whole. It’s up to the Party’s leaders, its rank and file members, and Americans as a whole to decide if it’s all worth it.